During a March visit to Singapore, I decided to ride the subway out to the nether reaches of the island to visit the light rail lines. Singapore has three light rail lines that form four loops connecting to stations in the rail-based public transit network. They were built with the express purpose of serving master-planned housing estates, giving residents a door-to-door rail service that allowed them to get around without increasing road-based traffic. The light rail itself is clean and efficient, with the automated cars running regularly on elevated tracks that weave between housing towers. Below is a video that overviews my experience on the system, including a startling discovery I made about how technology is used to solve a perhaps unforseen privacy problem. Matters of urban planning and design have always interested me and for a short while in university I was an urban planning major. Examples of transit-oriented land use, like the developments that surround the light rail lines in Singapore, make me think about ways that similar lessons could be applied in the United States. A country with a plentitude of land, since World War II development in the US has been oriented towards the automobile, resulting in more and more sprawl and fewer and fewer neighborhoods where one can walk from home to anywhere useful. With rising fuel prices and ever-increasing congestion on the roads, it amazes me that there has been continued resistance not only to public transit, but transit-oriented development. There are a few examples in the United States of what is sometimes called “New Urbanism”, a design philosophy that promotes more walkable and transit-friendly neighborhoods that include mixed use buildings – shops, businesses, and residences in the same general area. Not unlike traditional older neighborhoods in an urban environment, there are small shops on the main streets, some apartments overhead or in the surrounding blocks, and then single-family dwellings set further back. Orenco Station, a neighborhood in the Portland, OR area is a good example of this type of planning. Most of the dwellings are within a five-minute walk of the center, an average of roughly ¼ mile or 1,320 feet (0.4 km). An elementary school is close enough so that most children can walk from their home. There are small playgrounds accessible to every dwelling — not more than a tenth of a mile away. Streets within the neighborhood form a connected network, which disperses traffic by providing a variety of pedestrian and vehicular routes to any destination. The streets are relatively narrow and shaded by rows of trees. This slows traffic, creating an environment suitable for pedestrians and bicycles. As I look at these design elements, I see of list of things that have a whole lot of “pros” and very few, if any, “cons”. While the US will never go the route of Singaporean style land use – there’s no comparable acquiesence to the wisdom of the government, for starters – it does seem that a more comprehensive approach to land use would benefit the United States and our quality of life in the decades to come. Further reading: Interesting blog entry titled “Five Causes of Suckiness in American Architecture“. This entry was posted in Uncategorized and tagged Design, Land, light, Master, Network, New, Oregon, Orenco, planning, Portland, rail, singapore, transit, transport, urban, Urbanism, Use by christao408. Bookmark the permalink. Cool movie! I love the windows on the train… very nice! Public transportation is pretty accessible in New York City but I feel like it’s also one of the most inefficient transit systems in the country. Reading through this entry, I’m thinking of neighborhoods in L.A. such as Van Nuys, Burbank, etc. which consist of planned housing built after the war to promote suburban growth. Numerous areas in Orange County is also a prime example of modern development too. I fear there was no real planning done in my area. It was at one time farms. They sold off parcels and home sprang up. There has been a effort to establish a community in one area but that did and does not take into account rapid or mass transit. I live on the edge of a master-planned community that is about 10 years old. For many in the community, many of the ‘pros’ are present — it’s a very effective way to plan! The windows turning opaque is so cool! And wow, you really put in a lot of effort into your posts- don’t ya?!!! My experience with public transportation was when I live in Madrid. They have a subway system there that connects you to every corner of the city. The best and most modern. Considering how old <Madrid is. 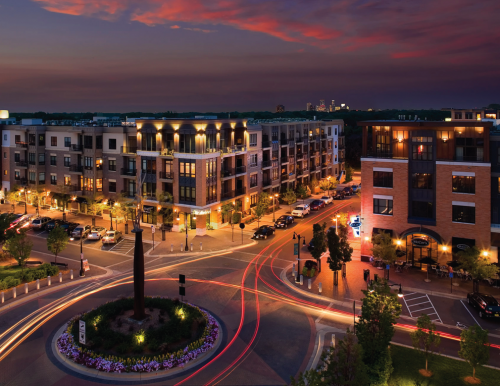 Lenexa, KS, has built a similar neighborhood on the west edge of the town. We seriously considered buying a single family home in that neighborhood several years ago in the early stages of the development. Driving through it now that it is fairly well along, it still has appeal to me (not the cost of the dwelling, however) but Dad isn’t keen on the density. As your picture of the Oregon community, it is a very dense living space. Urban-like but in a small way. I wonder how community oriented these neighborhoods become or if they are lots of people living in close proximity physically, but not attached to each other in any other way. how the hell do the windows do that?! so cool.i’ve always been interested in urban planning, too, and am fascinated by successful plans that are both efficient and aesthetically pleasing. it’s a brilliant combination of art and architecture that we hard-headed, git’r’done, capitalist americans can barely understand. the way you describe singapore almost makes me want to move out there! @lcfu – Thanks for the rec, Fufu. Yeah, Singapore is a unique case with limited land and large population, so it is bound to be somewhat different. But the idea of transit-centered development exists in other places, too, that are not nearly so dense. @YourOuterCritic – Thanks to you, too, for the rec. @LadyPhoenix_74 – Glad you both liked it. @mercurialmusic – There are a lot of things about Singapore that are very appealing, especially after spending time on the uneven pavement of Bangkok! @jandsschultz – I was thinking about that Lenexa development when I wrote this. There are some areas, such as the Plaza, Westwood, and Brookside, that have some of these types of features of development. Even some of the new downtown development would qualify. @The_Eyes_Of_A_Painter – There are many European cities that have phenomenally good transit, both a result of historical land use patterns, the density of the inner cities, but also the result of public policy decisions. It’s that last part – the willingness to make some centralized decisions about land use – that Americans seem to chaffe at. @Dezinerdreams – Well, this one took a bit more complicated direction than I had intended. Originally it was going to be just the video but then I thought it was interesting to explain how what I liked about the light rail system was less the windows (although those are cool) and more about the overall approach to urban design. It blossomed from there. 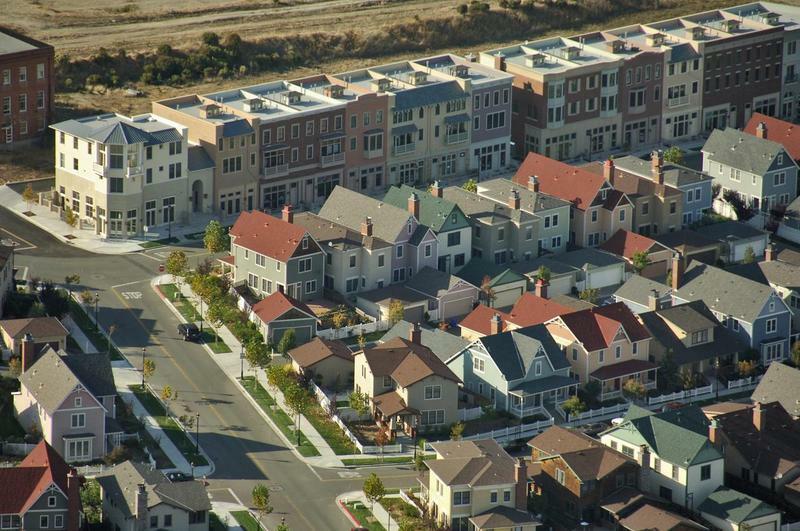 @slmret – There are many master planned communities down in southern OC. I remember on an early visit to Irvine being both fascinated and repulsed by the city because of how it was obviously master planned but yet so unwalkable. @Fatcat723 – It’s that piecemeal approach that keeps there from being any cohesive development. The Portland area has the only directly elected regional authority in the US that overseas larger scale development and planning issues. @CurryPuffy – There’s plenty of example in LA both of sprawl but also of very walkable neighborhoods. On the west side of LA most of the neighborhoods were initially within a few blocks’ walk of stores on the main streets. Over time, though, the patterns changed and we went from smaller local shops to larger megastores, making the car a necessity and encouraging sprawl. Of course, without sprawl we would have never had In-n-Out Burger! @mocawong – I think that’s a result of the subway lines in NYC originally being owned by competing companies that were eventually merged into the transit authority. Becase of that, there really is a lot of near-overlap and odd underground connections between stations that are in reality a block or more apart. Still, despite its chaos, it kind of works! =D@murisopsis – Glad you enjoyed. The windows are very cool. @christao408 – Yes — Irvine is not very walkable. Being much newer, and much smaller, and confined between other older towns, we were fortunate in being quite easy to walk! It’s nearly ten years that I last visited Singapore. Everything seemed so organized, clean and efficient in that country. The windows turning opaque are really cool! I almost felt dizzy watching the video. It was as if I was on a roller coaster. That train was moving too fast it seemed. Great video though. Your description of the urban and suburban developments reminds me of Spain, and what an eaysy transit system they had. @mocawong – I have to second this comment, and after living in Singapore and NYC, I think Singapore has the better subway service so much better than NYC. However, I don’t like to complain about the subway service in new york either so… ;)All I remember not liking about Singapore subway service is that it shuts down after a certain time, and where I lived in Singapore I had to take a bus as well because the road was really long an the subway stop was pretty far actually to walk home, and the last bus would come at 12 so if I ever wanted to go out and hang in the city, I really couldn’t go out that late…=/. This very interesting. Singapore has been there and continually defines growth. @rudyhou – The light rail makes a nice diversion. Give yourself about 30 minutes to get out to the LR and then about thirty more to ride around it. Doesn’t much matter which of the three lines you use, since they are all above ground and interesting. @ZSA_MD – Well, I must confess that the video was sped up in some parts so the train was going much faster than in real life. But I did it incrementally so you wouldn’t notice it right away. Sorry for making you seasick! =D@icapillas – Well, when you live in Taiwan, you aren’t that far behind Singapore, right? Ha ha… Plus, more relaxed. @newyorkstylecheesecake – Thanks for your comment and rec. Yes, Singapore (like other cities, too, but ESPECIALLY Singapore) really seems to think you should be home and in bed by a certain hour, so transit service does just kind of dissolve like a coach into a pumpkin. @windblown85 – Thanks to their unique set of circumstances – geographic and political, among other things – Singapore really does stand apart from other nations in a lot of respects. @baldmike2004 – Mike, thanks for the rare rec and kind words. I’ll have to check what my iMovie settings are, as I thought I was publishing in 720p. Maybe not… The Panasonic Lumix LX3 has a really nice wide angle lens and good image stability for a non DSLR, so I credit the camera more than the photographer for lack of camera shake. Plus, I hadn’t had coffee yet that morning so maybe that played a part in it. As for the windows in the light rail showing advertising, I can only imagine that the thought has crossed their minds. Wow, that’s the first time I’ve heard your voice! Not what I expected – expected a different American accent haha.Those windows are so cool! Just to let you know, I Googled “Singapore light rail” after reading your post and this blog post was the 5th result. It was the first result when I Googled “Singapore light rail windows”. I took a couple of urban geography courses and remember so well our love affair with the automobile. I like living in the urban core. While it’s noisy, crowded and a bit dangerous – I have everything I need within a few minutes walk.I like that frosted window. Some offices have it for privacy including the White House. @stepaside_loser – I wonder what accent you expected? I can fake many of them. @stepaside_loser – Glad to know I’m making the rankings. @ElusiveWords – The children of a friend in Kansas City just bought a home that is in the suburbs but is two blocks from a small “downtown” area of one of the burbs. Probably two dozen shops, a few restaurants, coffee place, and the weekend farmer’s market are all there. That’s maybe a good balance between urban and suburban. @christao408 – I’m terrible with accents. I’m also not able to pick out the different US American accents – I guess I expected you to sound like the popular sitcoms haha. @christao408 – For me, when I hear an American accent on the street, I immediately think of American dramas – it’s a good thing.